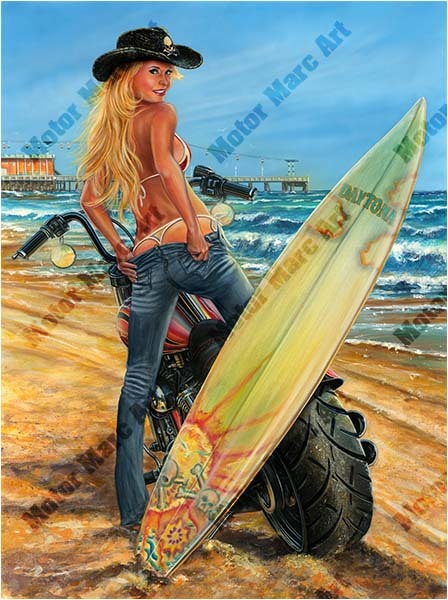 Media Size Choose an option18" x 24"26" x 34"32" x 40"
Surfs up with miles of a long flat beach that paves the way for all bikers to let the engines settle and the sun to beam down on all who came for the show and stay for the bikini babes. Daytona Beach celebrates 75 years of sunny skies, sandy oceans and bike week. 18" x 24", 26" x 34", 32" x 40"